Our Custom Card Stock Gift Cards are digitally printed so you have endless color and design possibilities. Keeping track of the cards is easy, just log them into the journal. This gives you an advantage by having in-house control. Sending your artwork is simple! E-mail us your artwork (logo, layout, images) to sales@specialtystoreservices.com and our Graphic Designers will create a professional finished digital proof to your exact specifications for you to approve. Gift cards shown are just an example - customize with any design or denomination you choose. 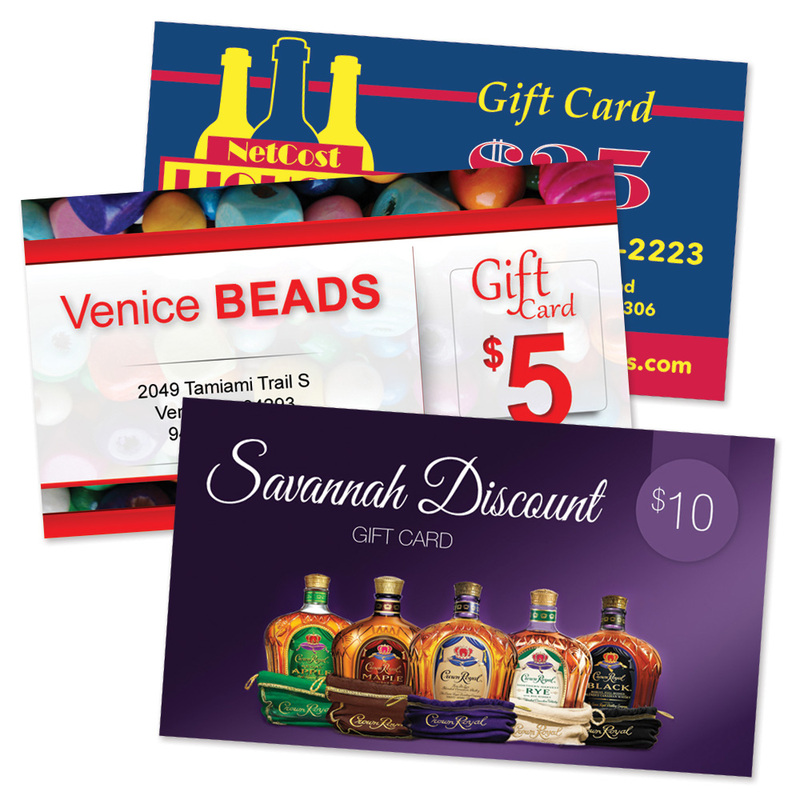 Customize cards with your store logo, name, address and telephone number. Just 20 cents per card !!!. Custom Gift Cards are printed on 7.5 point uncoated card stock. Allow 2-3 weeks for delivery. Prepayment required. Don`t forget to buy a customized sign to advertise your program, search item 4500.